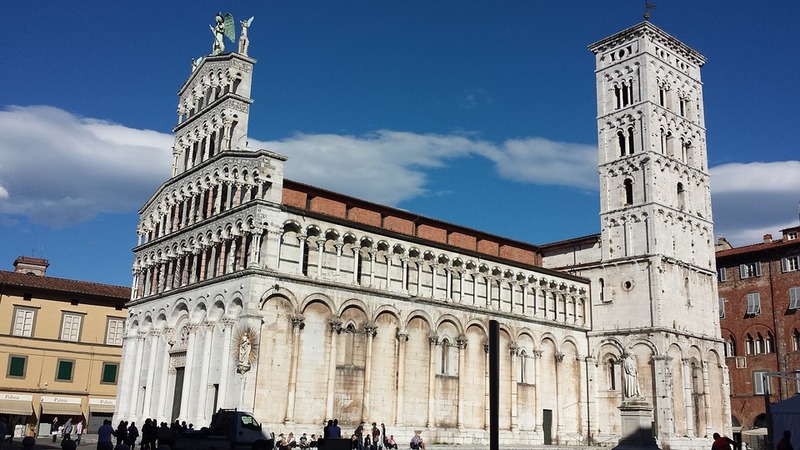 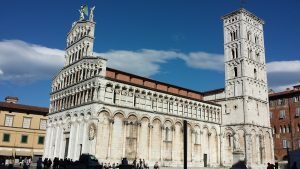 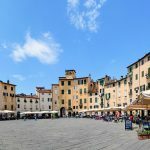 Lucca is a charming city close to Pisa, famed for its well-preserved Renaissance walls that surround the city’s historic center. 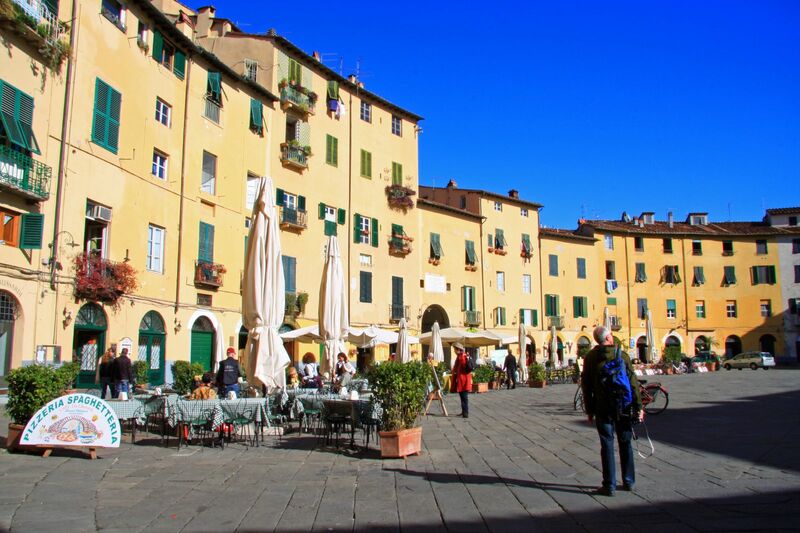 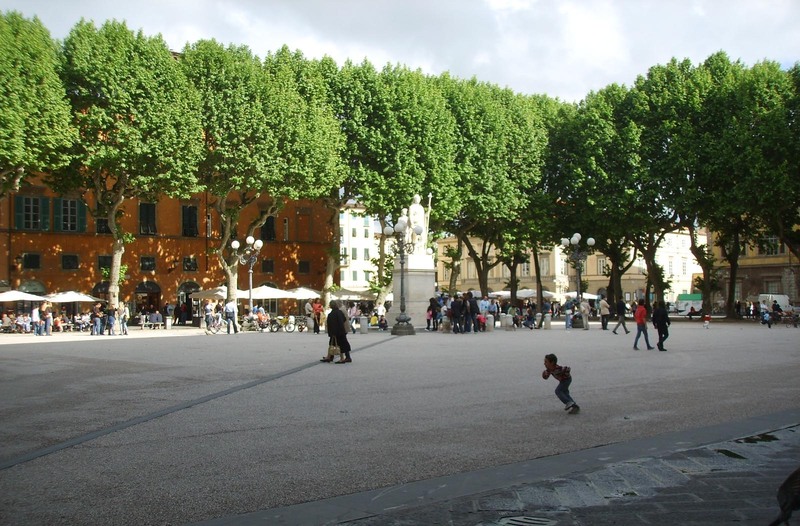 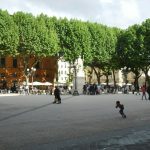 It has cobbled streets, beautiful piazzas and broad tree-lined streets which are ideal for a stroll or a cycle ride. 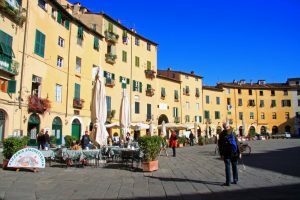 This is also where you will find the Casa di Puccini, the house museum of the great opera composer, who was born here in 1858. 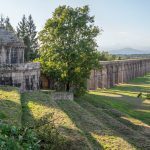 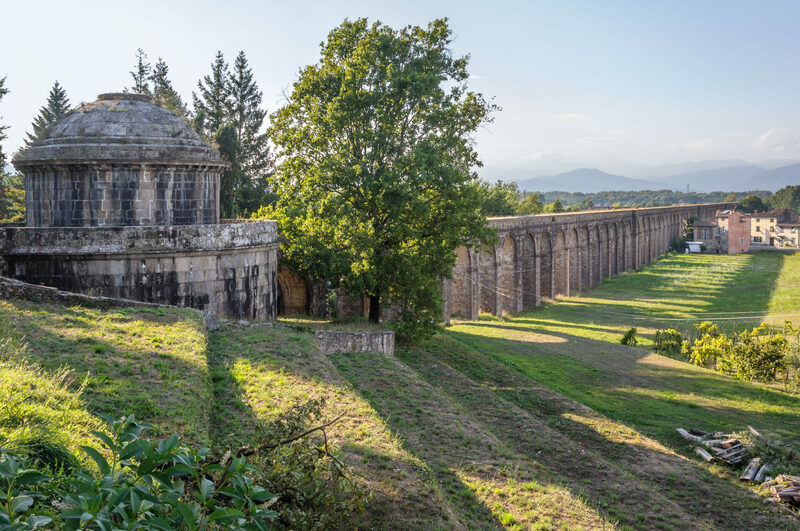 L’aqueduc de Nottolini, de Guamo (Capannori) à Lucques – les premières arches (Toscane, Italie).